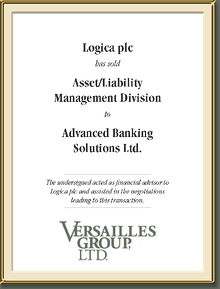 Logica’s board of directors determined that its Asset/Liability Management Division was no longer integral to its strategy. Consequently, a decision was made to divest this business. Versailles Group achieved an extremely high value for this business due to its comprehensive approach to M&A, particularly its international research capabilities. Versailles Group contacted all of the logical domestic buyers along with many international entities and developed a short list of the most promising buyers for this business. Despite Versailles Group’s efforts, the most logical domestic buyers did not understand the true value of this business. 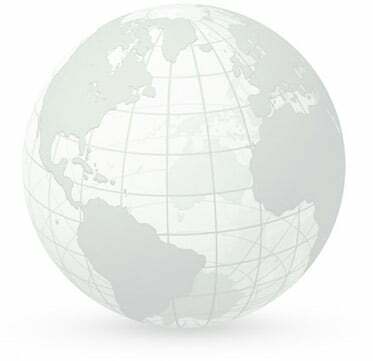 However, Versailles Group’s international buyers were able to recognize the value and were aggressive bidders. The “winner” was a South African company, Advanced Banking Solutions Ltd.